Fine, fine. So we exaggerate. And really, it’s okay if you’re not partial to Our Lord and Savior Drizzus Christ’s sonic offerings. They’re not to everybody’s liking. But can we deny the fact that, if certain actions of his are carefully inspected, he could essentially kind of be a Marvel superhero? 1. Drake’s full of witty banter like Deadpool. One of the most telltale characteristics of the red-suited Marvel anti-hero and mercenary is the clever badinage that he seemingly effortlessly taunts his victims with right in the thick of combat. We’re in on the joke with him, but the bad guys are just too dumb to get it — or they’re just preoccupied at that moment with hanging on to their lives by a thread. Much like ‘pool, Drake is known for his cheeky wordplay and onstage charisma, simultaneously flirting with his audience while decrying his “haters”. With some of the most topsy-turvy verbals in today’s R&B and hip hop (“Tell me, can we kick it like Ali Shaheed and Phife Dawg / People really hate when a backpack rapper get rich and start livin’ that life, dog”), he’s the author of now-infamous phrases embedded into the social consciousness (see: “YOLO”, for which he has apologized, and “0 to 100”, the cry of bucket-hat-clad dudes everywhere). He’s adept, to say the least. I wonder if he or Deadpool would win in a rap battle? 2. Like Blade, Drake comes from two different worlds. The vampire-human hybrid Blade is renowned for possessing all of the strengths of the two vastly different facets of his background — and none of the weaknesses, possessing immunity to both silver and sunlight. Pretty rad. Drake, on the other hand, was born to an African-American father and a Jewish-Canadian mother, a heritage that has been explored both his lyrics and public comments. His mixed identity has thus made him to be a kind of super-human, possessing intimate knowledge of the experiences of being part of both and yet belonging to none. It’s allowed him to put forth discourse on race, class and gender that no other rapper has had the authority to do just yet. Although there exists a catch, of course. Blade has to constantly fight off his bloodlust. 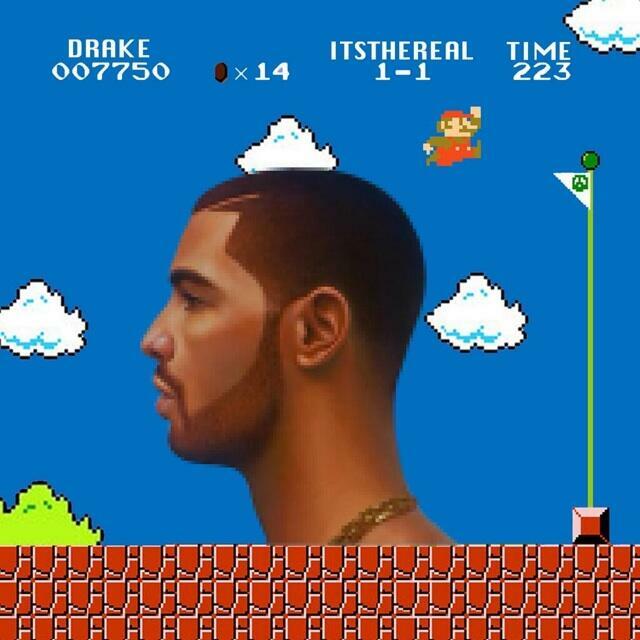 And Drake has to constantly fight off the malaise that comes from never knowing exactly who he is. But without that inner crisis, we wouldn’t have four albums of recorded feelz set to impeccable beatz, so it all evens out. 3. Drake, like Professor Charles Xavier, created a posse that defined their careers. 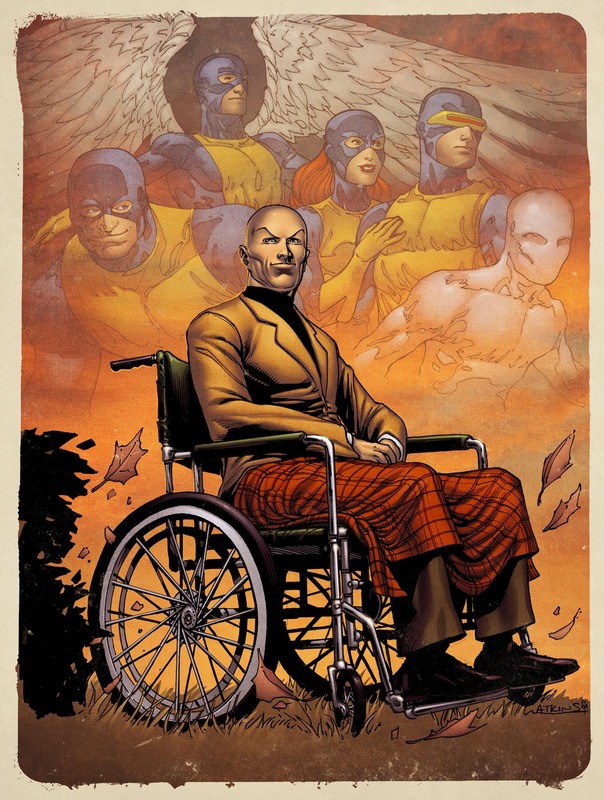 The Professor is a hero in his own right because of his key role in bringing together human-mutant hybrids for the pursuit of good in the form of the X-Men. He could have used his superior intellect to do whatever he wanted with the world, but he decided to gather with others and establish a movement. October’s Very Own or the OVO crew is an amalgamation of Drizzy’s childhood pals, affiliated producers and artists signed to his OVO Sound label. Drake is anything but shy about his love and affection for the entourage, even penning the anthem “Crew Love” in honor of their bond, and irreverently proclaiming one of his life philosophies and now-Millennial-epithet in “No New Friends”. Although Drake technically hasn’t been tasked with officially assembling superhero allies in the fight against evil, it could be argued that he is engaged in a battle against the traditional gangsta-rap façade of showing only tough hip-hop bravado without letting spill any of the manly emotions that lurk underneath. And he brought 13 of his boys with him to do the dirty work. 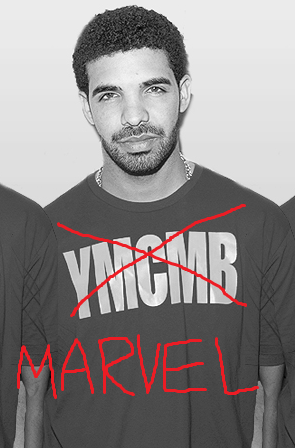 There you have it — very, very reputable proof that Drake is, indeed, a Marvel superhero. Do you agree? Leave us a comment below! * definitely a real scientific science developed by sciencey scientists. Just in case Twilight has made you forget about the days when vampires were still scary, Sideshow has released a stunning new 12-inch figure of Wesley Snipes as the vampire-killing machine (and part vampire–there’s always self-loathing in these things), Blade. The figure, which features a full 32 points of articulation, boasts a brilliant head sculpt and perfect likeness and generally shows all the high-quality work that always goes into Sideshow’s creations. There’s a reason they’ve got a great reputation and this figure is yet another example of how they got there.